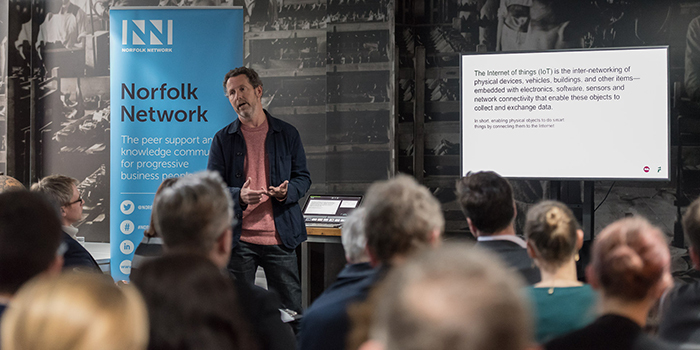 By 2020 there will be around 50 billion connected devices, declared Nick Thompson – Creative Technology Director at Foolproof and Founder of creative tech studio Knit – in his opening remarks to a sell-out Norfolk Network audience. These connections are creating what he described as a “digital nervous system” connecting physical things like phones, coffee-makers, headphones, lamps… and people, in a giant network-exchange of data and information. But what does this mean for business? How do you get started in the Internet of things (IoT)? And what about security. These are the big questions Norfolk Network posed to a panel of experts on 27th April at St George’s Works, Norwich. 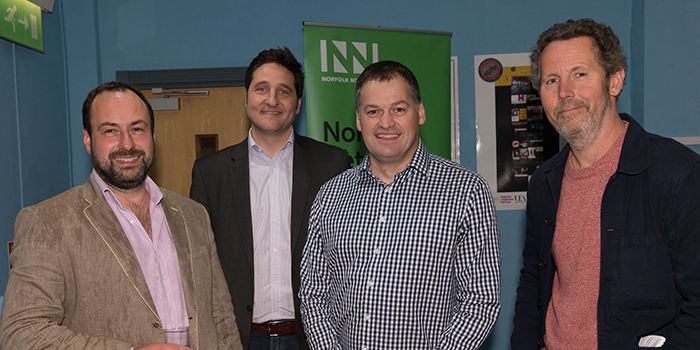 Thanks to the panellists: Nick Thompson; Paul Foster, Principal Technical Evangelist at Microsoft; Julian Hirst, Managing Partner at Tribal Worldwide; and Neil Garner, Founder of Thyngs, for their insights into the world of IoT. What does IoT mean for business? 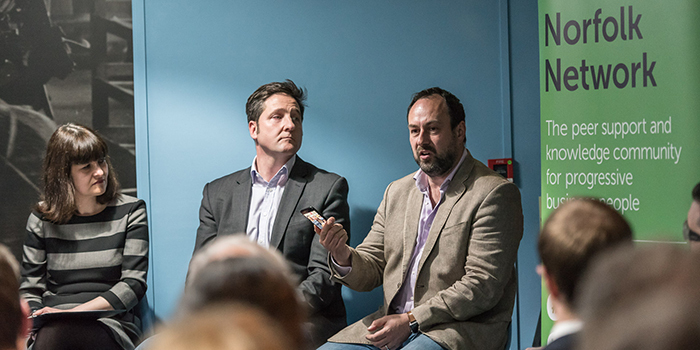 “IoT is as important as the internet, mobile and social media,” Nick explained. 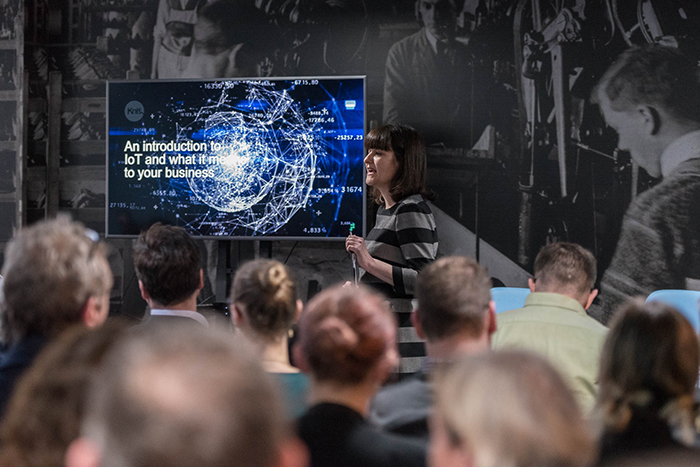 Unlike other technologies before it, IoT has defied conventions in its route to mass market by skipping what Gartner calls the ‘Trough of Disillusionment’ where other technologies have floundered for several years. Its applications are diverse within the home, transport, health, buildings and cities for example, and has the potential to transform marketing and advertising. In 2014 revenue from IoT was over $180billion. By 2020 this is expected to exceed $1trillion. The key to getting started, Nick continued, is to begin with the problem: “Technology isn’t the answer, it’s the tool for solving business and customer problems.” Taking Nest, the connected thermostat as an example, he explained how this innovation transformed a dull, static object into an ‘experience’ by giving it life beyond the confines of the home and turning it into a talking point. Nest has not only made controlling heating easier, it understands and can predict behaviour meaning it also helps customers save energy and money. What does this mean for business? Nest shows how a great experience with an IoT object can positively impact customer perceptions of that brand in the future. A positive experience with Nest means that any future product or service development will be more readily received by the customer, since they have already formed a strong opinion of that brand. Nick further illustrated this point with #HiutMusic, an award-winning IoT radio designed and built by Knit (now part of Foolproof). The tagline for the brand is “You can’t make great jeans without good music” and this formed the basis of the campaign. Knit built a twitter-powered radio, which enables customers from all over the world to tweet their choice of song to be played in the factory. The further away that tweet is in the world, the stronger the colour on the facia of the radio. If ‘masters’ don’t like a song they can skip it, but if they like it they can add it to their favourites. The radio connects customers from all over the world with the brand and provides Hiut with information about their customers and social advocates. What did our panel think? Lucy Marks, MD of Norfolk Network, opened the discussion by asking the panel where the opportunities are for small businesses. 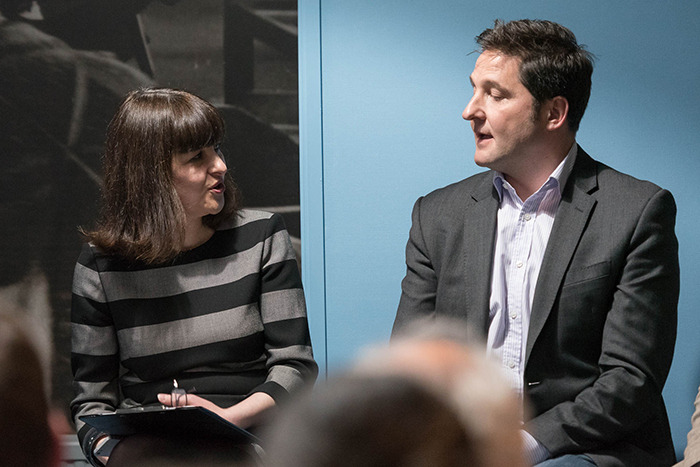 The panellists agreed that we are entering a new age of perception bringing opportunities for learning and improving how we do things in the real world. Paul led with an enlightening anecdote about his work with Fujitsu. Attaching a simple pedometer to a cow showed a correlation between how far a cow walked and its peak fertility. It also revealed that whether farmers were early or late with artificial insemination determined if the calf was male or female. This small piece of data improved the pregnancy rate of the herd in Japan by 30%-40%. The point he was illustrating was that one small observation can have a huge impact. 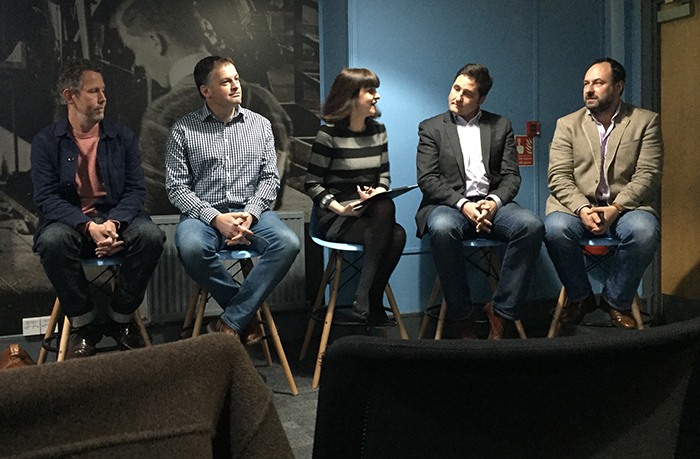 “The opportunity for small businesses is in the area where ‘you’ve always done it like that’. This is where to look,” explained Paul. “Start with a hypothesis, get data and test it.” Julian agreed that small businesses need to “get good at data” first. He also advised that they step outside of their context and look for answers to their problem in someone else’s space. 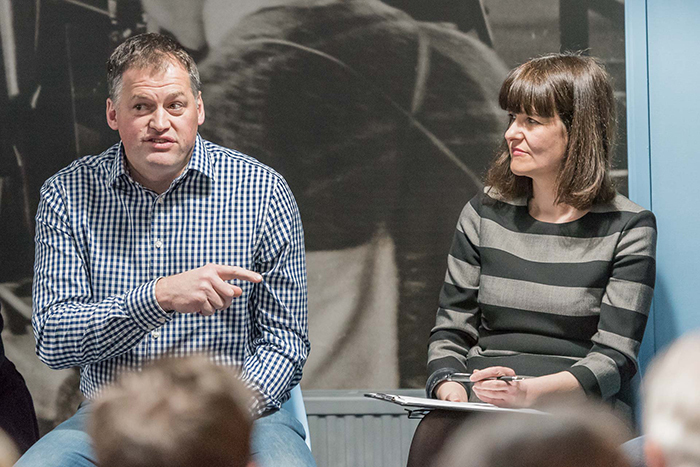 Nick encouraged businesses to not be frightened of the technology and to “give it a go”. This is being made easier, added Neil, by the huge reduction in the cost of the technology and it being made more accessible for non-tech people. Paul agreed that as a population we are generally happy to give up data in order to receive more tailored services, and that “privacy as we know it is dead”. We still have what he described as ‘AI moments’, where we notice that we are giving something personal away but quickly see the benefits, accept it and move on. Neil’s view was that the biggest security risk is our mobile devices as these are the “gateway into the IoT network”. It seems that security comes at a price with the more expensive technology providing the security built in. The additional challenge, added Neil, is in how we put the vast amounts of data we collect to good use, and responsibly. This was a question the audience were also most interested in and prompted further discussion after the panel about who owns the data and what it could be used for. In answering ‘how does a business get started?’ Nick replied: “there is a lot to learn by just getting started. 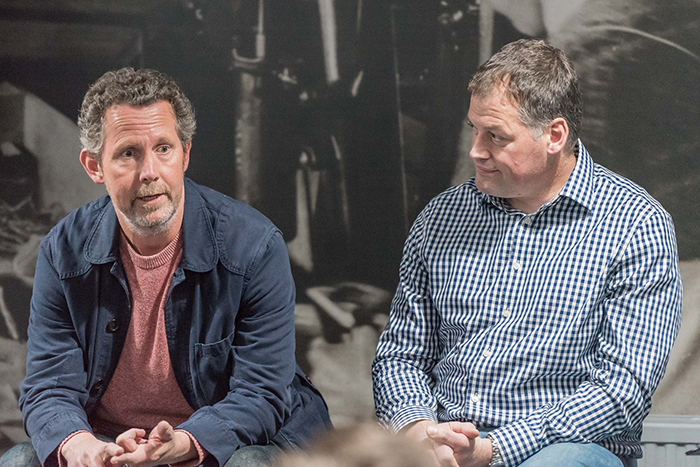 When you start making something – however rough – you start to realise what’s possible.” The panellists all agreed that the reduction in cost means you can get started relatively easily. Julian advised looking to other organisations for help. If you have an idea, find a larger organisation that needs it. If you want to get IoT into your business look to the smaller start-ups and buy them or invest in them.